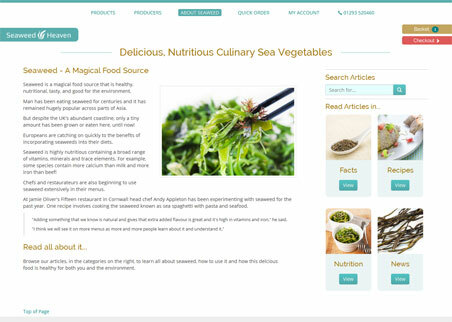 Seaweed Heaven is a seaweed product dedicated ecommerce web site. All site content including auto-resized images can be updated from the fully featured CMS backend. Further the backend handles all the order processing facilities, stock figures and affiliate processing as well as providing turnover and product sale reports.